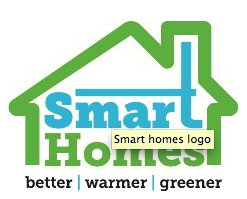 3 October 2016: London’s Zero Carbon Homes planning policy officially started on the 1st of October. Attending a recent industry workshop around the new ZCH rules – it’s clear that many organisations involved in the sector are still not quite aware of what this this all means. Hence answers to some of the most frequently asked questions raised follow below. What exactly started on 1 October 2016? All new planning applications in London for residential projects above 10 units will now need to provide an energy assessment which will set out how the development will achieve a zero carbon status. When was this first announced? There have been no announcements by the GLA that this new ZCH policy was going to commence from 1 October. Instead, information has largely had to be gleaned from new planning documentation and a number of recent responses by the Mayor to questions. The new policy and its implications were first picked up in a post on the Energy for London website here, following the publication of a new GLA Supplementary Planning Guidance (SPG) document on Housing. Where is detail behind this policy set out? Three GLA planning documents set out the new policy requirements to some extent: they are the SPG on Sustainable Design and Construction; the SPG on Housing and a GLA Preparing Energy Assessment guidance paper. July 2016: Islington have recently published new environmental design planning guidance on heat networks: The guidance is released in two parts – with Part 1 giving an overview of the existing and and planned Islington heat networks, as well as an introduction to the principal behind heat networks (referencing the GLA’s 2014 London Heat Network Manual). 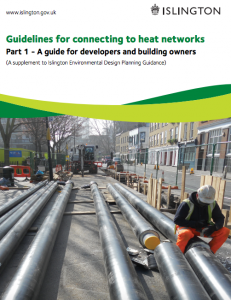 Part 2 provides technical guidance to developers looking to connect to Islington’s Bunhill heat and power network. 7 March 2016: “Islington has netted a £30,000 government grant to set the wheels in motion on an innovative energy saving scheme. The funding will be used for a study into how to extend the current district heating network to housing estates situated to the south of Bunhill.” Read the full Islington Gazette story here. October 2015: On Sunday 25 October an electricity transformer, the size of a large truck will be delivered to National Grid’s new Highbury Substation, on Seven Sisters Road, Islington – all part of the major London Power Tunnels Project. More here on this new piece of infrastructure. And more on the London Power Tunnels project here.